The MP for Peterborough says her decision to vote against the Government’s EU repeal bill was not an attempt to frustrate Brexit. Labour’s Fiona Onasanya said she opposed the EU Withdrawal Bill because it would hand over unregulated power to the Cabinet. 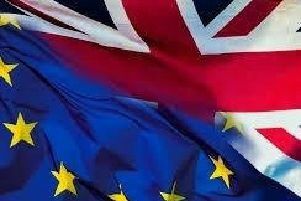 The bill converts all EU law into UK law while also ending the supremacy of EU legislation, but there are fears that the bill, if approved, will allow ministers to amend laws without scrutiny from Parliament. The bill passed its second reading in Parliament and will now go to a committee stage for line-by-line scrutiny. Ms Onasanya said: “Although I supported Remain I accept that a majority of people in Peterborough voted Leave, and as the representative for the people of Peterborough in Westminster this should be acknowledged. “The vote on this bill was not about whether Britain leaves the EU, but on the new powers it would introduce. “This Withdrawal Bill would give unregulated power to the cabinet and allow it to sidestep parliamentary scrutiny altogether. In Peterborough, nearly 61 per cent of voters backed Brexit. Conservative MP for North West Cambridgeshire, Shailesh Vara, voted with the Government in supporting the bill. The vote went 326 to 290 in favour of the Government, with seven Labour MPs defying the party whip.